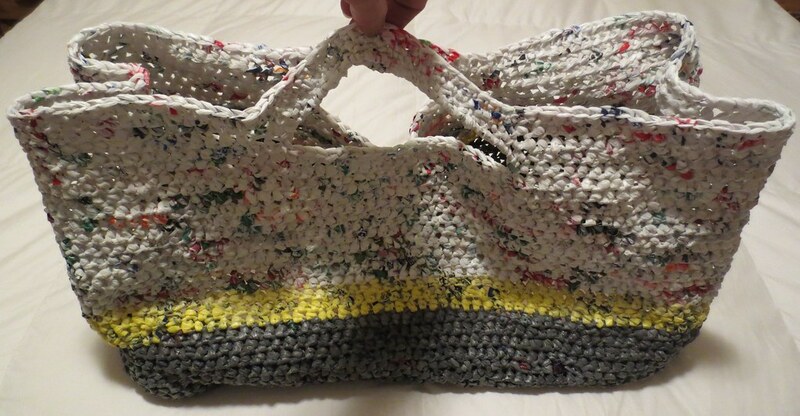 The recycled plarn hobo purse is a pattern I adapted 10 years ago with permission from Dao over at ShortyLamCrochet Blogspot. 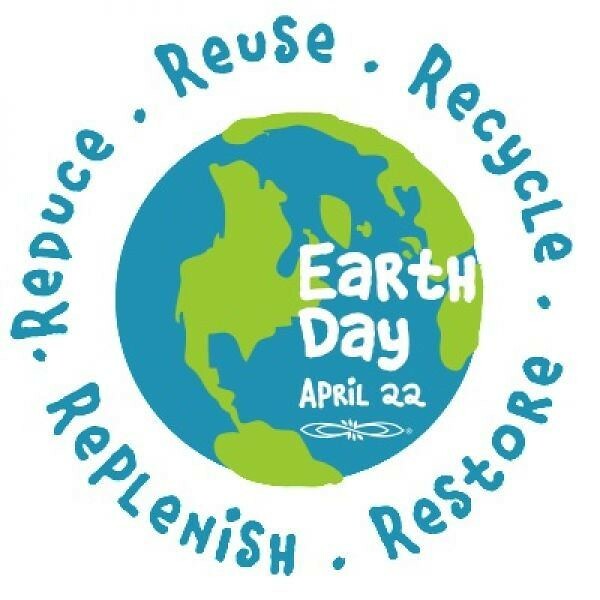 I created the purse using recycled plastic bags or plarn for my pattern. You can find the crocheted plarn hobo pattern link here. 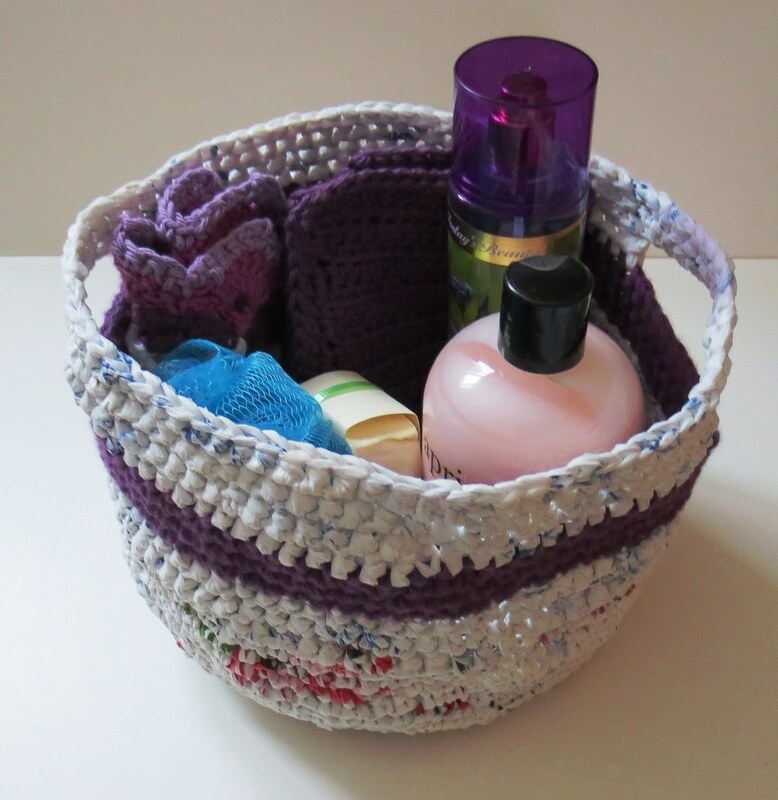 For this purse, I used a K (6.5 mm) crochet hook so it is a smaller size than the original pattern link. I started with chain 23 and did do one extra round of stitching before adding the final few rounds of decreasing at the top. 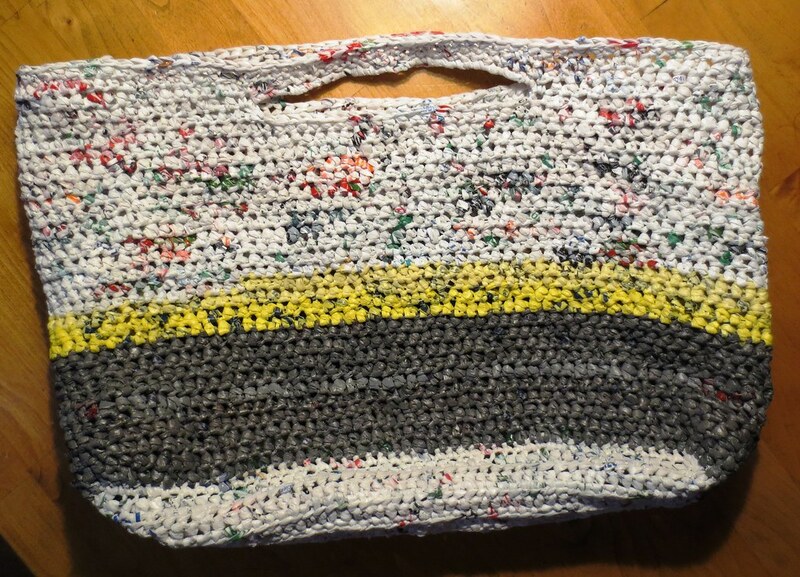 Finished size of the purse is 9 inches wide by 7.5 inches long. 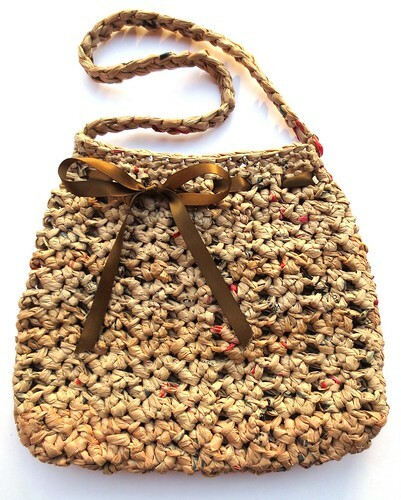 For the strap, I braided 3 strands of plastic bag yarn together and then just attached the ends at the each side of the purse. 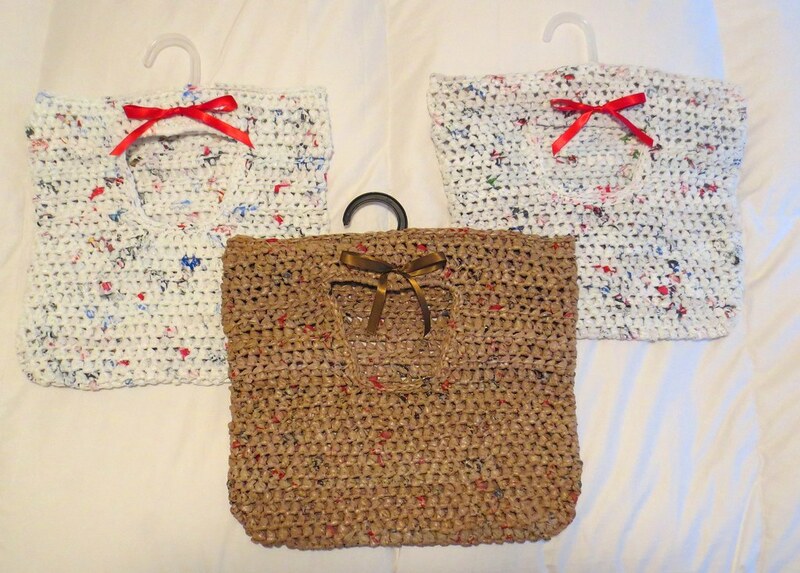 I have been working on an order of clothes pin bags crocheted from recycled plastic bags. 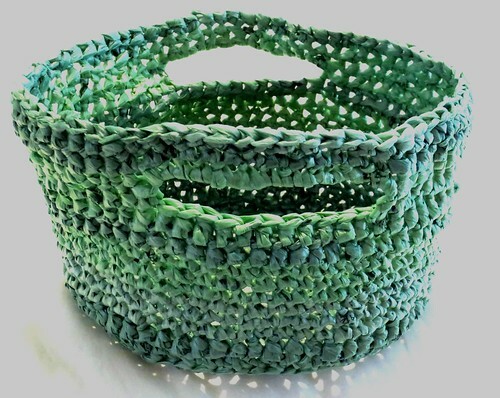 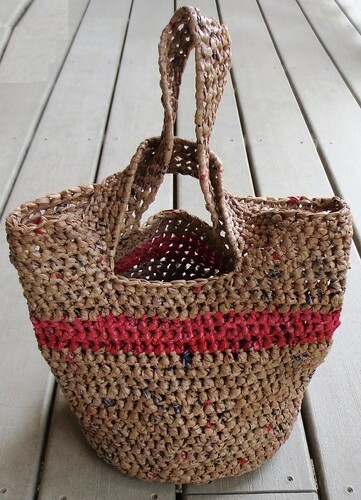 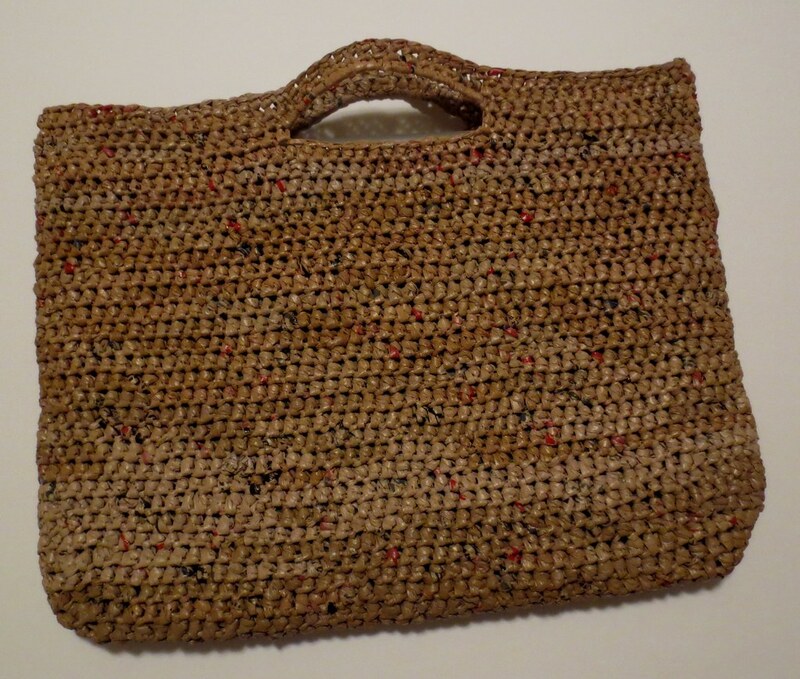 These bags are crocheted using recycled plastic retail bags cut about an inch thick. 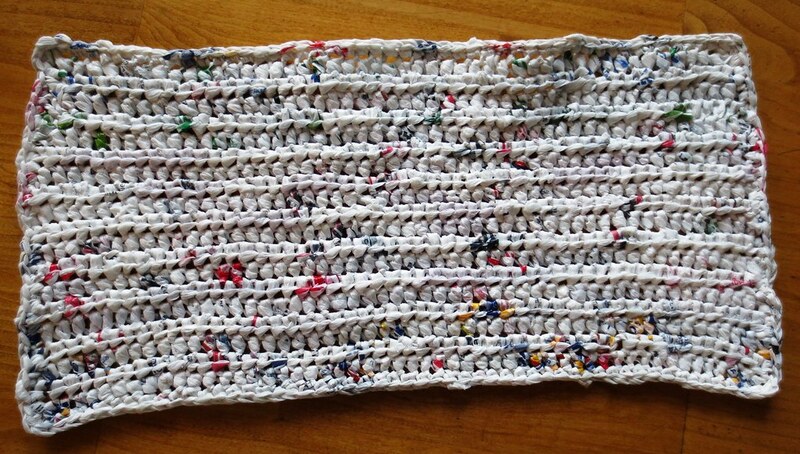 The strips are joined by using the looping method to create what is called plarn. 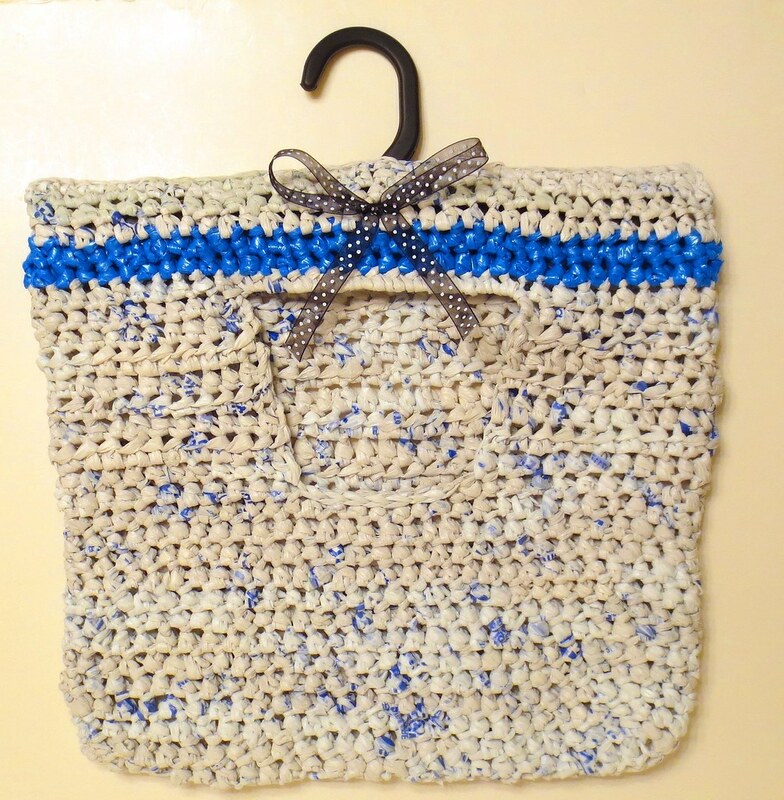 Here is one more I crocheted with white plastic bags along with a few rounds of blue bags for an accent stripe. I love adding the ribbon to the projects as it spices up the recycled bag look. 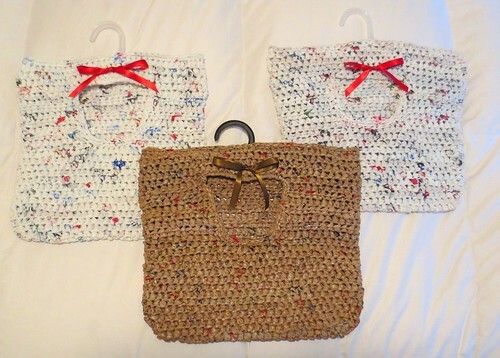 I have crocheted many clothes pin “peg” bags over the years. 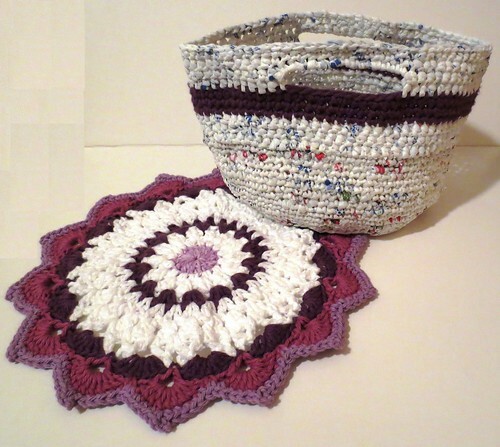 This is one of my earliest plastic bag patterns that dates back to 2007 when I started my blog. 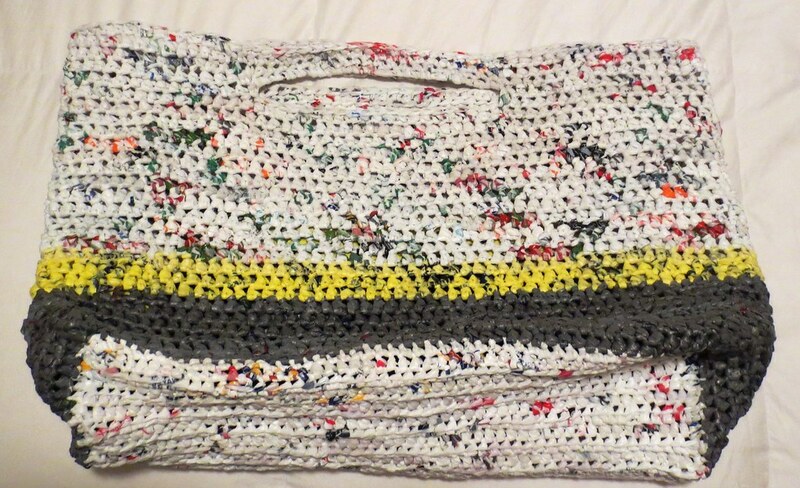 Here is the free plarn clothes pin pattern.